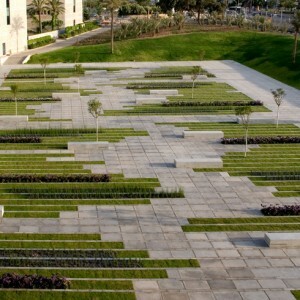 Chyutin Architects: The square is located in the western part of the Ben-Gurion University campus in the city of Beer-Sheva, Israel. 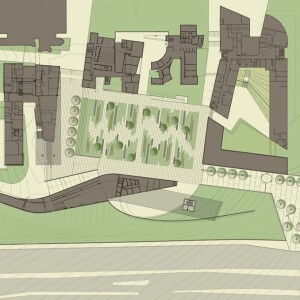 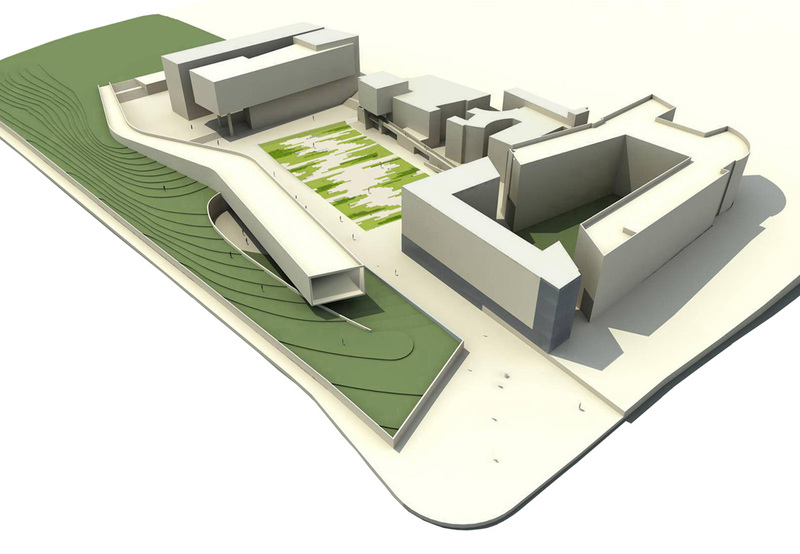 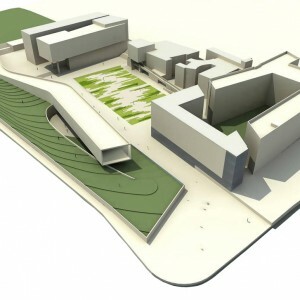 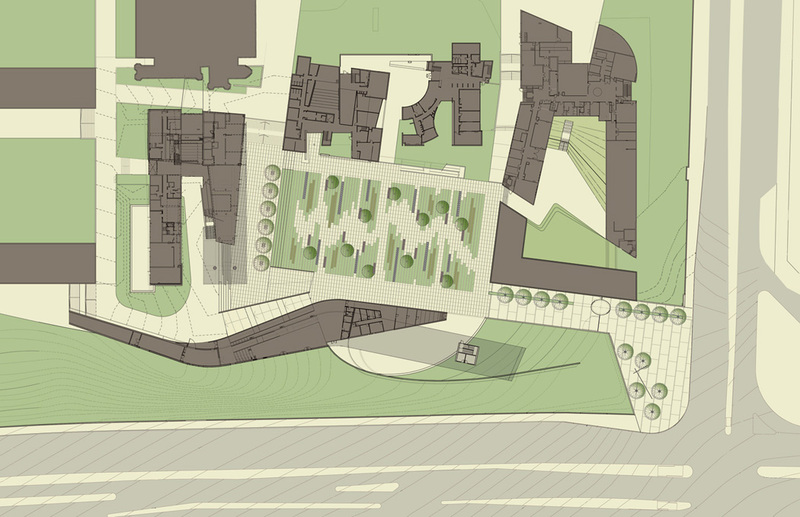 The existing buildings encompassing the square (the Faculty of Art, social activities and the Administration building) and the art gallery to be built there in the future are all designed to offer services and to constitute links connecting with the community on subjects related to art and social contexts. 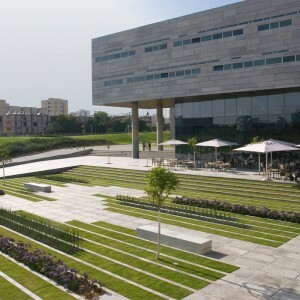 The square is connected by a pedestrian path to a city square and the entrance gate to the university. 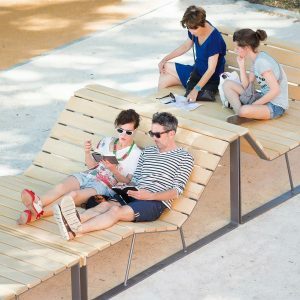 Since the square is meant to facilitate intensive congregation of youth and students, the preferred solution was one in which the area allocated to vegetation is limited. 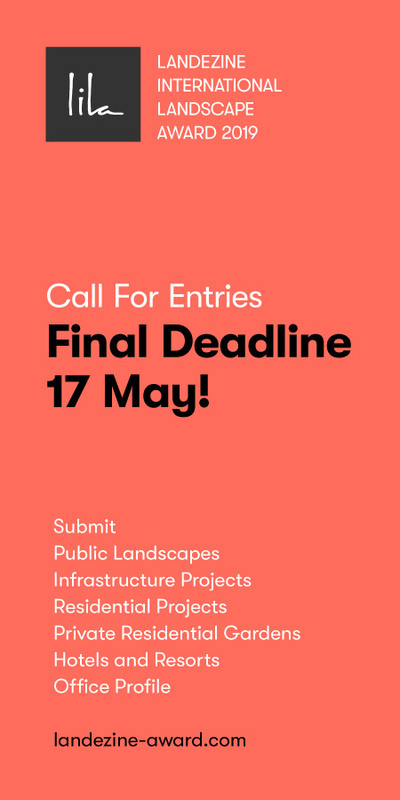 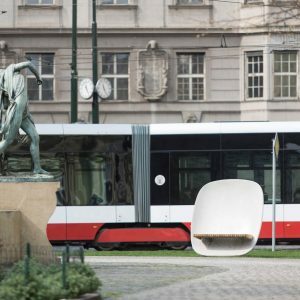 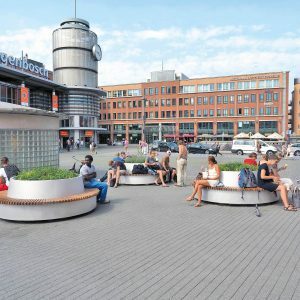 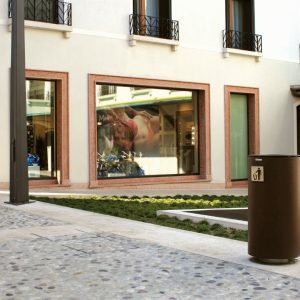 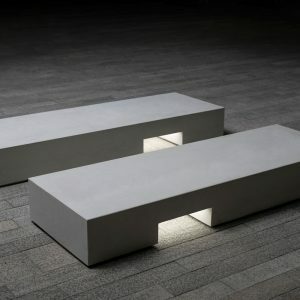 Also, since the square is the element that meets the façades of all the buildings, defines the urban space around them and connects them both physically and visually, its design in elements of bare concrete reinforces and accentuates what they have in common. 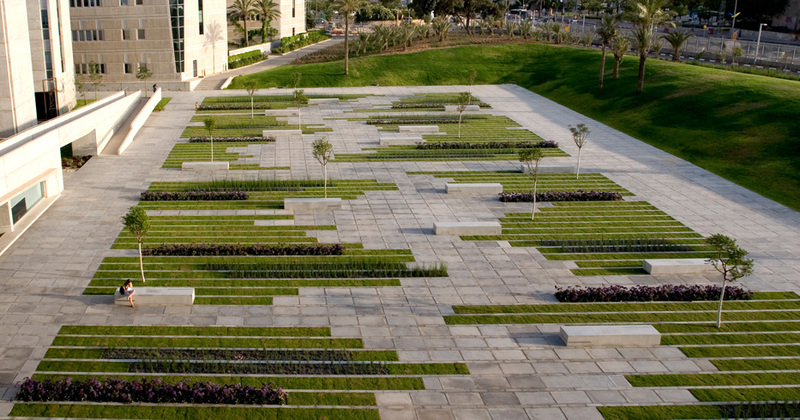 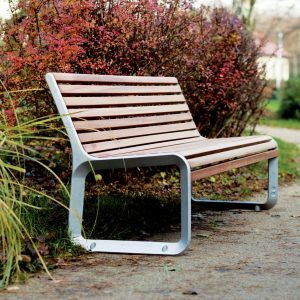 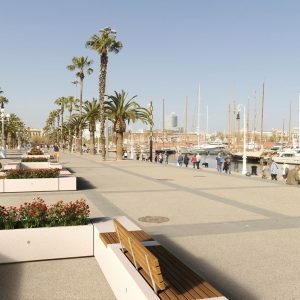 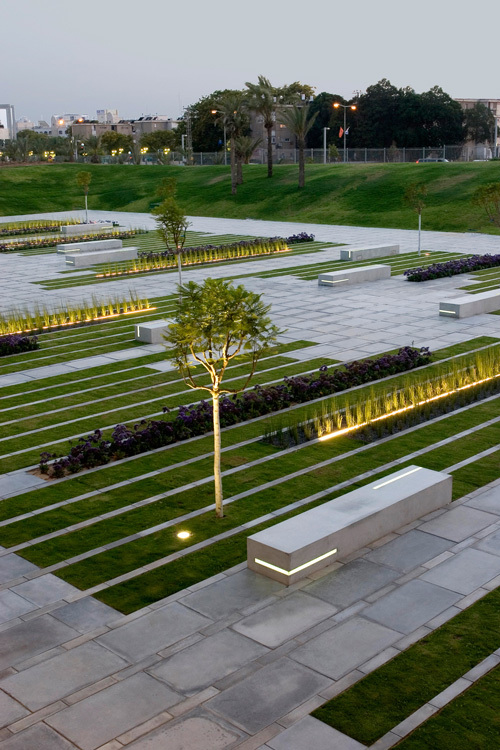 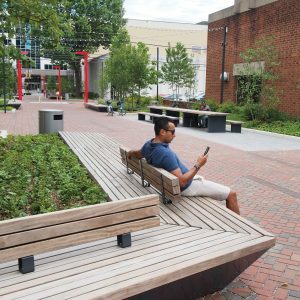 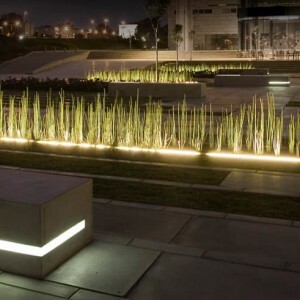 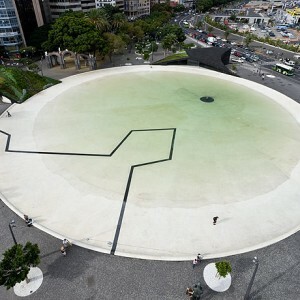 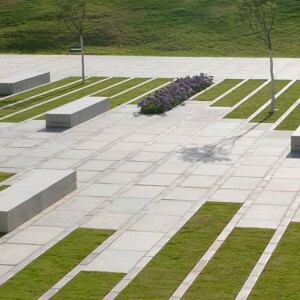 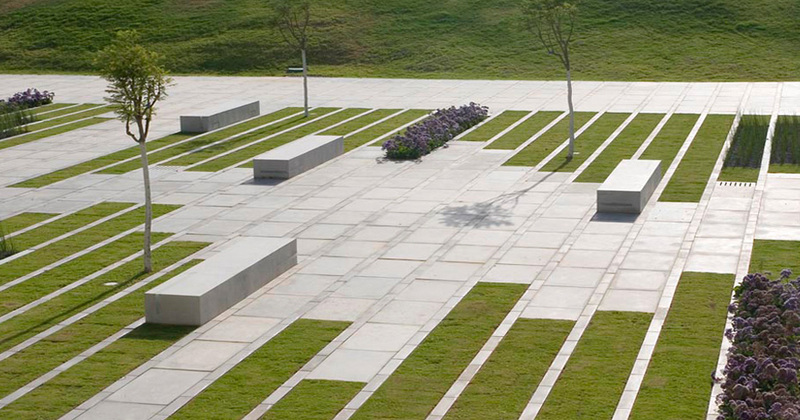 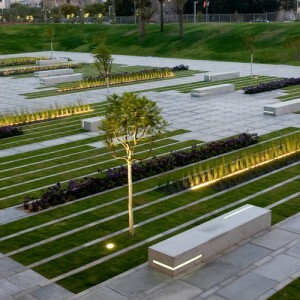 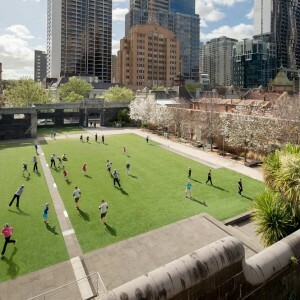 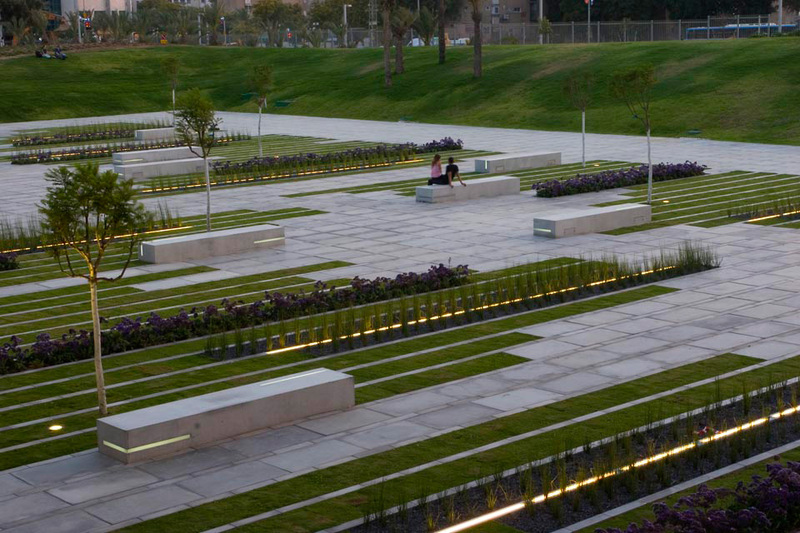 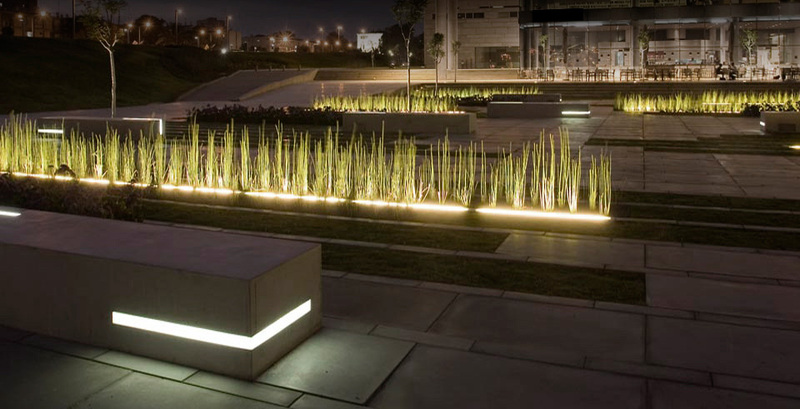 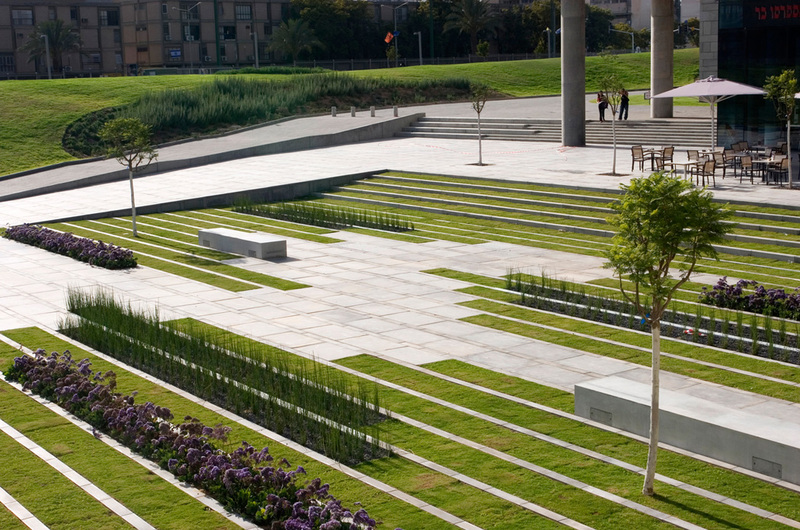 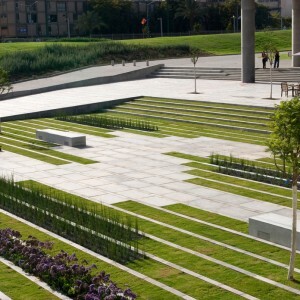 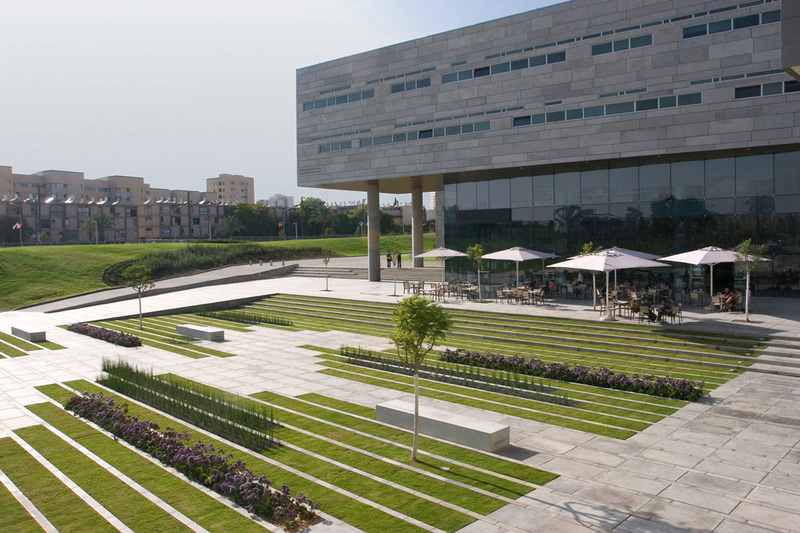 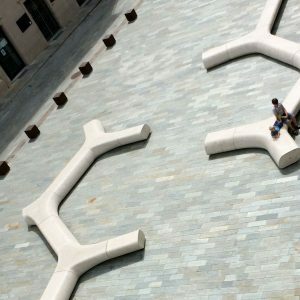 The square is designed as a carpet of integrated strips of concrete and of vegetation, with a number of trees and concrete benches at its center. 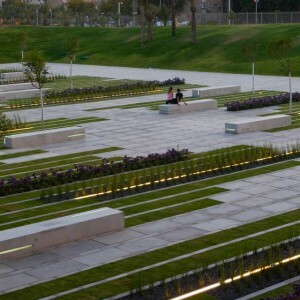 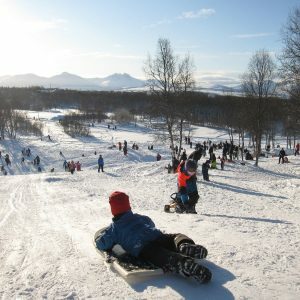 The vegetation in the strips will consist of lawn, equisetophyta about a meter in height, and seasonal plants to be changed three times a year.